In theory, becoming a runner is simple--you just run, and you're a runner! But anyone who tries it for the first time knows that it's actually not that easy. Running is tough! And at first, it's not enjoyable, because you get out of breath and exhausted. 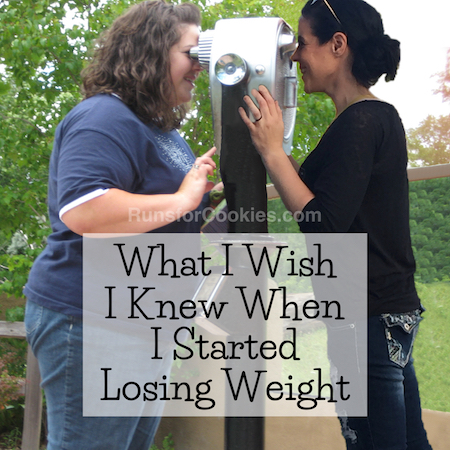 When I tried to start a running program (the ever-popular Couch to 5K plan), I could never get through week 4. (You can read my story of how I became a runner here.) And more than anything, I hated doing run/walk intervals. I found myself dreading each run interval, which made the entire workout kind of miserable. Since I couldn't get past week 4, I finally decided to do my own plan--something that got the running portion out of the way at the beginning of the workout, and then I wouldn't have to dread the intervals. I continued to increase my mileage until I was running three miles at a time. Only then did I start working on getting faster. I recently wrote a training plan that is very similar to what I did when I started running. I wasn't following a formal plan, but the way I've written this is as close as it gets. Before getting started running, I suggest building up a routine of walking 30 minutes, 3-4 times per week. This is important because it makes the routine a habit. When you've built up this habit, you'll feel very "off" when you miss a workout--and that's a good thing! It will help you to stick with the running plan. I know it's cliché, but I have to say it: Check with your doctor. Show him or her the training plan. Make sure you're healthy enough to do it. Choose a 5K race to sign up for, and register NOW--right this minute--so that you are motivated to stick with the training schedule. Once you're running for 30 minutes straight from using the Walk to Run plan, you can continue to build up a base with my Base Building for Beginners plan. When choosing a race, I would pick one that's about 4 months away, and make it your motivation to stick with the training! Once you choose a race and register, tell everyone you know. Right away. Announce it on Facebook, tell your friends and family, your hair stylist, your dental hygienist, everyone you see. This is also insurance that you will actually get in the training. How embarrassing would it feel if you just up and quit, and then everyone asks about your race? Choose a training plan. If you don't use mine, then find one that fits into your lifestyle--if you don't have much time to run, don't choose a plan that has you running six days a week for an hour each time. If the running feels too hard, or you think you can't make it through the running portion of each workout, SLOW DOWN YOUR PACE. It should feel ridiculously, embarrassingly slow! If you slow down, and progress the plan as written, you should be able to complete the workouts. Go to a running store and get fitted for good running shoes. They aren't cheap, but they are a great investment! The wrong running shoes can cause injury and making running miserable. Besides, if you invest in good shoes, you'll be more likely to stick with the training. You will feel terrible if you waste the money you spent on those shoes! Be consistent with your training. I can't stress enough how important it is to train consistently! Choose a training plan that you can fit into your life (the one I've written is 30 minutes, 3-4 times per week... which I think is do-able for pretty much anyone). Once you start skipping workouts, it becomes easier and easier to skip more--and then quit. Make a commitment that works for you (I committed to 30 minutes, 3 days per week) and make it NON-NEGOTIABLE. Do the plan with a friend, if possible, to make it more fun! If that doesn't work out, you can keep things interesting by running several different routes. Post to social media about your runs, so that you hold yourself accountable. Follow runners on social media, like Instagram, to motivate you to stick with your training. All of that said, becoming a runner really is as simple as just running! And I promise that it gets easier the more you do it... when I think back to my first run, I'm kind of amazed at how far I've come. 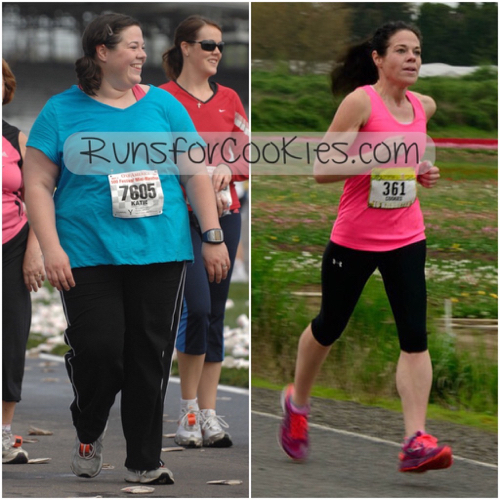 I went from running less than 1/10th of a mile to running three full marathons! I used to think running was the hardest exercise to do, but now I find it the easiest (aside from walking). If you stick with the training, and do it consistently, you will be amazed at yourself as well! Run more mileage. The more you run, the better you will be at at running--just like anything else in life, practice makes (almost) perfect. So, just by running consistently, you will naturally get faster as your body gets conditioned to the mileage. Start some basic speed work. Speed work should make up no more than 20% of the time you spend running, so use it minimally. (Even experienced runners shouldn't do more than 20% speed work). Also, you should never do two "hard runs" on back-to-back days. Hard runs are anything faster than an easy run, OR a long run. A long run is considered a hard run, so you shouldn't do it back-to-back with other hard runs. The simplest speed work you can add is called a "Fartlek" run. For a Fartlek, you basically run at several different speeds without rhyme or reason. You may start at an easy jog, and then sprint to the next mailbox. Then slow until you reach the corner. Then run hard for the length of a block. And then slow jog for the rest of the song you're listening to. And so on. It shouldn't be a specific time or distance--just whatever you feel like doing at the moment. By doing some short, fast bursts of running, your legs will start to strengthen those muscles needed to get faster. Another form of speed work is similar to the Fartlek run, but it's very structured, and we call it "intervals" or "repeats". This may mean running for 60 seconds very fast, and then walking or jogging slowly for 60 seconds. Or it could be running hard for 1/4 mile, and then walking or jogging slowly for 1/8 of a mile. Then you repeat each set several times. These are tough workouts! But they will most certainly make you a faster runner. Finally, another run that I believe makes a world of difference in your ability to get faster is called a "tempo run". For this run, you might jog five minutes at an easy pace, and then run at tempo pace for 25 minutes, and then jog to cool down. Tempo pace is faster than an easy run, but not as hard as sprinting. It should be uncomfortable enough to where you wish you could slow down, but you know that you could continue at that pace for the duration. I usually do these at the fastest pace I can manage without having to slow down or take a break. And I am completely spent at the end! Those are three basic forms of speed work that will certainly make you a faster runner, once you have a solid base. However, it's super important to develop a base of easy running before you start adding in speed work. PLEASE read my post about "The Importance of the Easy Run" before you start running at all. Well, there you have it! 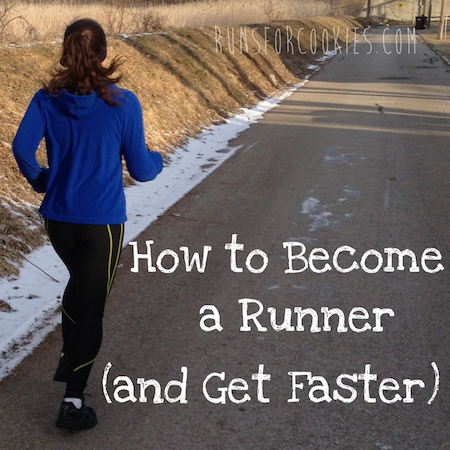 How to get started as a runner, as well as how to get faster once you've built your easy run base. Great post! I am going to review your plan with my physical therapist once I am cleared to start jogging again. ACL repair surgery has taken me back to square one! Great post-- thank you for sharing! I think this is a great plan for someone starting out. Yes, absolutely GO SLOWER than you think you ought to. That is so important. I'm working on getting back to a routine and committing to run just one mile every single day for the next 30 – I figure if I can just get into the habit again with small chunks, I'll be good to go for longer distances again. Thanks for your continued awesome advice! I could've totally used this when I first starting running! It was really tough for me in the beginning, as I really put so much pressure on myself to actually run -- and felt down if I had to walk. This, of course, meant I would end up giving up and feeling down about my abilities. 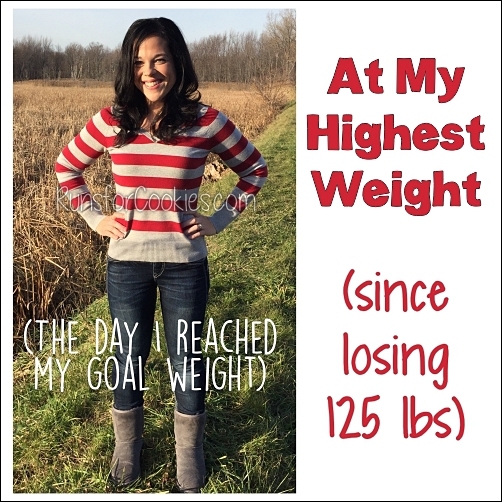 I'm going to recommend this program to friends that are just starting out! Do you have anything about heart rates? My hubby has to watch the stress he puts on his heart -- so target ranges for the run/walk part might be helpful since I'm a total rookie with all that stuff. I would have your husband ask his doctor what percentage of his maximum heart rate he should be exercising at. It varies considerably per person, but his doctor can give him an idea of what's best for him. Do you think you'll do another half or full marathon one day? 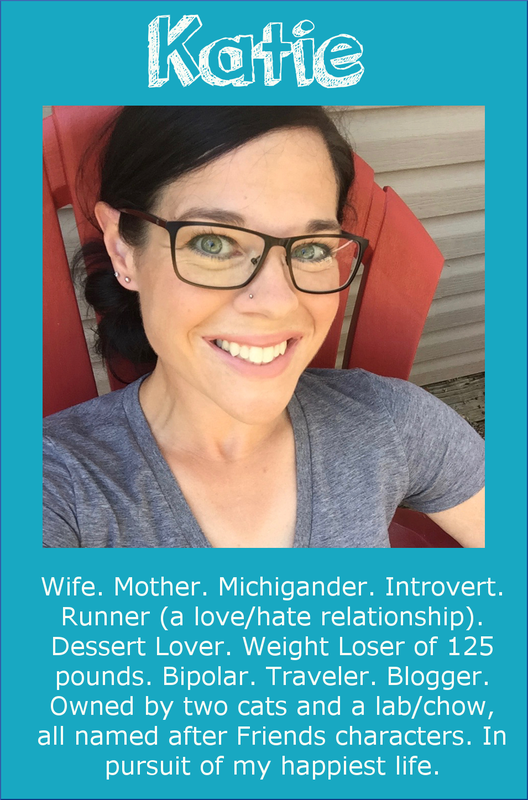 I loved all your posts about your marathon training for Chicago! I honestly don't know... I really enjoy the shorter distances (10K is my favorite!). I am 99% sure I'll never do another full marathon, but I'm thinking I'll probably get the urge to run a half again one day. I will say that I really enjoyed training for Chicago, though--the Hansons Marathon Method was great! What are your thoughts on treadmill vs outdoor running? And do you have any suggestions on transitioning from one to the other? I think it's probably different for everyone, but I've been successful using the treadmill for training. When I was training to PR my half-marathon in 2013, I did probably 50% of my runs on the treadmill, and I PR'ed by over 10 minutes! One of the bonuses of using a treadmill is that you can work on your leg turnover easier than you can outside--set the treadmill at a super fast pace and just try to stay on for each interval ;) I find the treadmill to feel easier than outdoor running, so I usually set the incline at 1% and run a slightly faster pace than outside. Thank you so much for doing this! I've been consistently walking for 30 minutes for awhile, and have really wanted to start running, but have failed every attempt at Couch to 5k. Tonight I did week one of your plan, and I'm really excited about it! I printed your plan, and bought stickers to put on each completed day. :) I'm all about stickers!! I signed up for my first half-marathon and I'm following your training plan. I just started the first workout today. I have a question- can I walk to catch my breath between sprints? Or should I slow my sprints down so I can jog at an easy pace in between? I'm super slow. My sprints were 8:08 and my walking was 17:03. Hey there! I would definitely walk between sprints. I always walk at a snail's pace between sprints. You don't want to totally recover (you'll feel like you want another minute), but that's what makes them effective :) If you're unable to complete the workout, then I would slow your pace a little on the sprints so that you can complete all of them. Hi Katie! Thank you so much for your answer. One more question- I noticed there is are quite a few easy run days (30-40 minutes 3 days per week, then a long run at easy pace). Is it okay to substitute walking uphill on one of those days? I walk 2.6 miles to work in the morning and 2.6 miles back (the way back is uphill), usually twice per week. I'm wondering if I should skip my walking to work during half-marathon training or just do it once a week instead of an easy run, or should I just walk to work on my "rest" days? Thanks!!! This is perfect and exactly what i need! I'm excited to try this since i have always struggled up to a certain point and couldn't get past it. I've read your posts in the past about starting to run but having the plan written out is very motivating. Thank you so much for taking the time to do this! I was doing such a great job of running about 30-35 miles a month - 3-4 miles at a time. I'm 39 and have a healthy BMI but am top heavy with a less than strong core. As of May 20th my knee started hurting on the top/front and I haven't run since. I am so bummed. I have made a doctor appointment because the knee pain has continued despite not running for several weeks. I know you're not a doctor...but did you ever experience anything like this when you started running? Should I invest in a coach to watch my form? I don't want to give up on it altogether, but also don't want to bring on a knee surgery (if I haven't already, ugh)! The location you described sounds like it could possibly be "runner's knee"--which is a pretty common injury for runner's. It requires time off to heal, unfortunately. I dealt with it in 2012. I would suggest seeing a physical therapist that will do a gait analysis on you--they will have you run on a treadmill while they film you from different angles (probably with circular stickers on your joints). Then they analyze it in slow motion to see if you have any form problems that need to be corrected (things that could have caused the problem). It could very well just be from doing too much, too soon, though! Hopefully your doctor will be able to give you some answers. Good luck! What about weather? I poop out if it is too hot, too humid, raining, too cold or whatever. Can you speak what goes through a runners mind about weather and running? I see runners in the rain and snow often and think "wow! What dedication!" Thank you so much for this post! I have been following your blog for quite awhile and appreciate your candor. I too have never been able to finish the Couch to 5K plan and plan on starting your plan today. I do have one question, should I include a 5 minute warm up and 5 minute cool down? 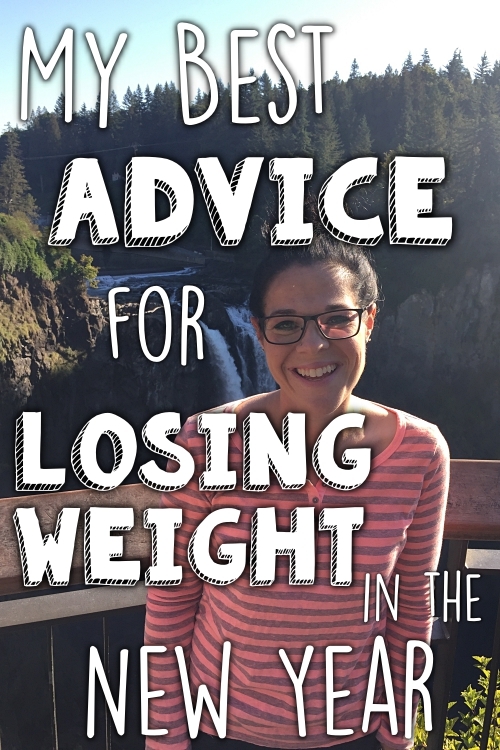 Katie, thank you so much for making the beginner become a runner plan. I have been following it for a few weeks now. Tomorrow is my 3 minutes of running day. I'm so nervous but so excited to see what I can do. I run/walk on a treadmill so I can keep my pace steady and not have to deal with the heat. 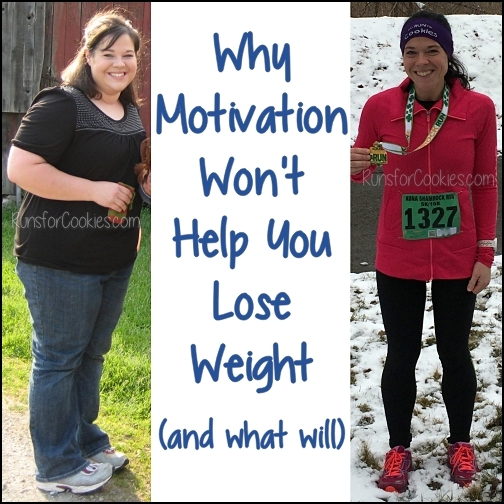 I have 80ish pounds to lose and I'm hoping I can stick with your plan and run the full 30 minutes. I actually really enjoy running on my treadmill. I have been reading your blog for forever it feels like and I love everything you write about. I admire you so much! Thank you for helping me become a runner. Hugs!